I worked Jackson for about an hour. I started out by endotapping him on the ground once I got him tacked up. I got on, after he yawned a bunch of times. We did some work at the walk. I did a little work on the spinning. Then I worked on some shoulder ins, half passes, and two tracks at the walk. 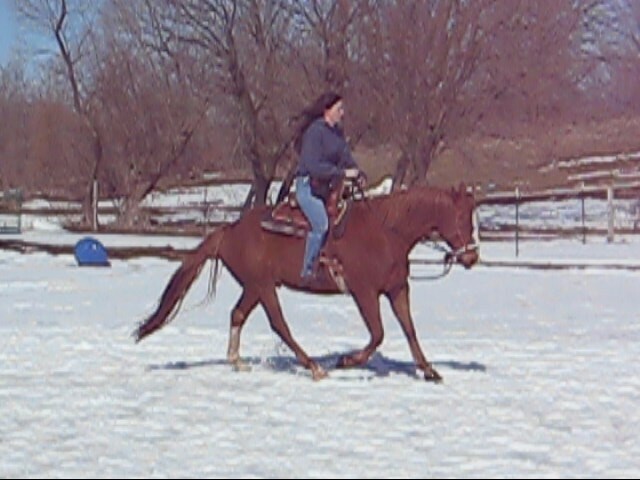 Then I worked some more on the rising trot. I think I am improving a little bit, but it is hard to tell. I also endotapped him briefly at the walk and trot on both sides. I think I need to do more endotapping at the trot and really get him relaxed. It is still hard for me to tap him and post at the same time, but I am working on it! I did do a little work on the canter. I again asked for transitions from a relaxed (kind of) trot to the canter and I saw a big improvement in the right lead canter. I also worked a little on increasing the canter with just using my seat. I think it was only a small change, but I hope that will increase as I work at it. 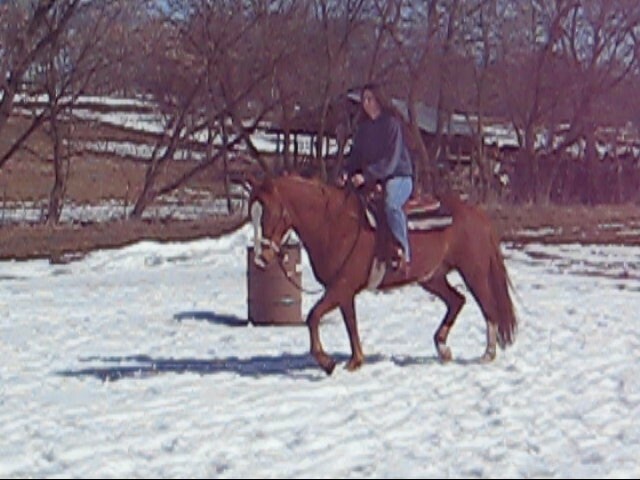 Then I did more work at the rising trot, really trying to get him to engage the hind end. My brother came out and took another video for me and I am much happier with how he moves at the trot. I think it is starting to happen. He does have a little trouble, thinking I am asking him to canter, but with work, we will correct that.